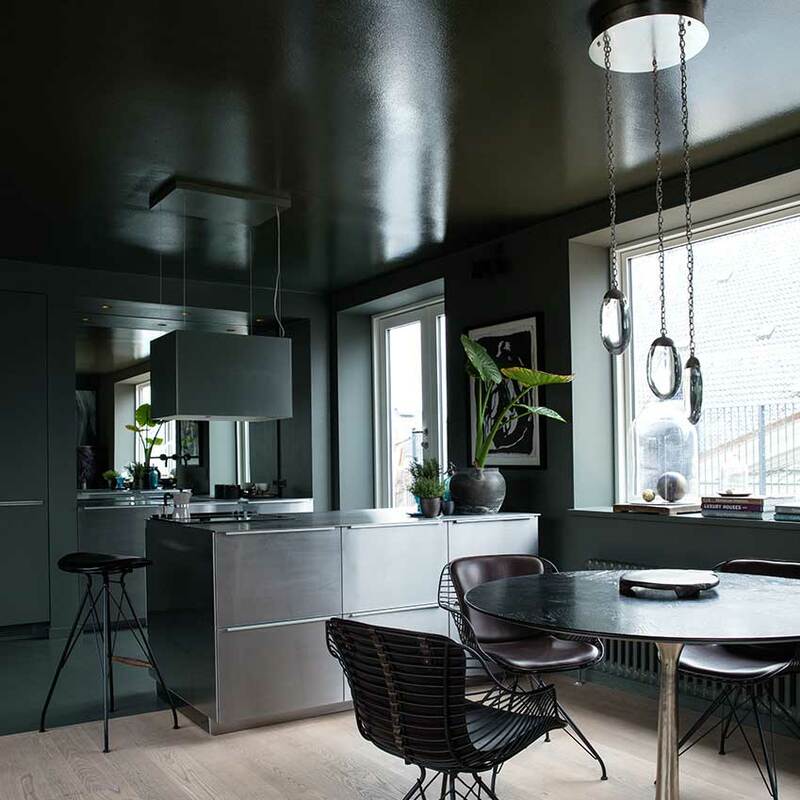 1 When dark is light This magical home (below) in Copenhagen is actually painted black, but it’s a black with a huge dose of green, which takes it right into the realm of the fir green spectrum, recalling the very depths of pine forests, and of course Christmas trees! As an added detail, the homeowner mixed the ceiling finish with layers of lacquer to lend extra sheen and shine to the space. 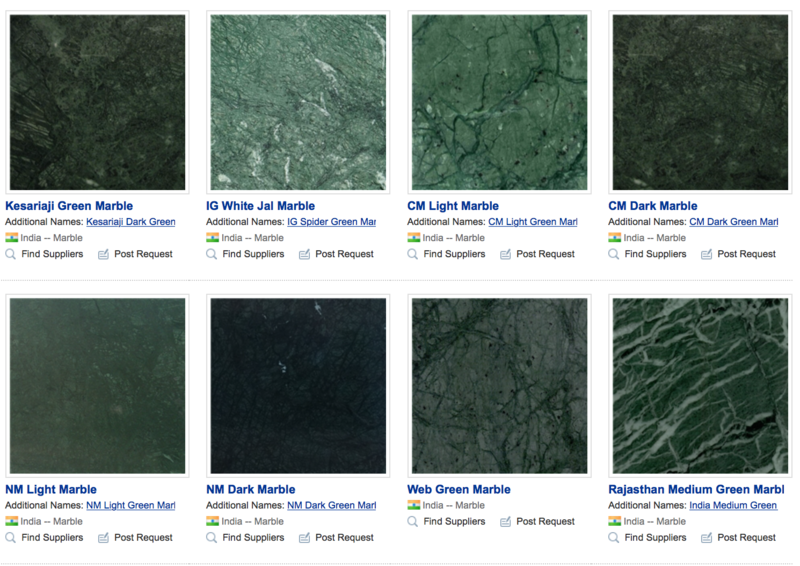 2 Marble magic Dark greens just seem to look extra specially splendid in green marble. Again, the darker the better. And there are an enormous variety, however luckily there are also some incredible sites that show you everything you can imagine and a lot more, such as: Graniteland green grants and marbles; and Stone Library where you can search by colour and see whole slabs as well as examples of different pieces in situ. A small selection of the green stones and marbles from all over the world to be found at Stone Library. 3 Velvet, it’s all about velvet. Because this fabric is the natural partner for the richness, depth and luxurious nature of this colour. 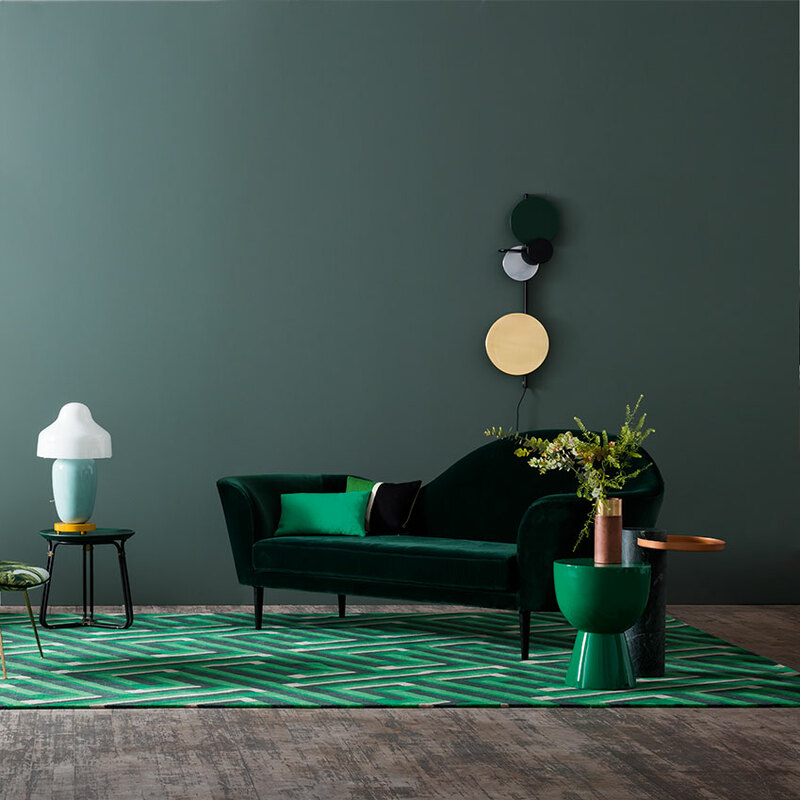 This sofa was a huge hit in 2016, but especially in fir green, the “Grand Piano” sofa by Gubi, from £4,660, available at Chaplins. 4 Timelessly green. 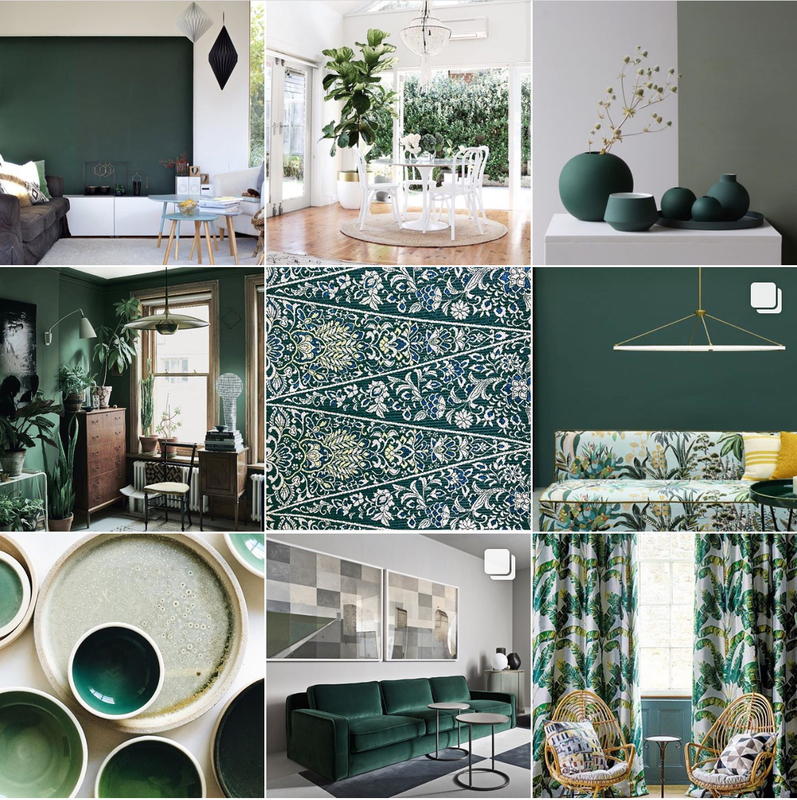 Fir green is one of those colours that never seems to date. Inevitably it comes in and out of fashion, however it will never look old-fashioned. In a simple bedroom it would make a striking backdrop. One that could be picked up in the linens without appearing unduly match-matchy. These bedlinens are by Society Limonata, and Benjamin Moore’s “Deep Sea Green” would be a good match for the paint. 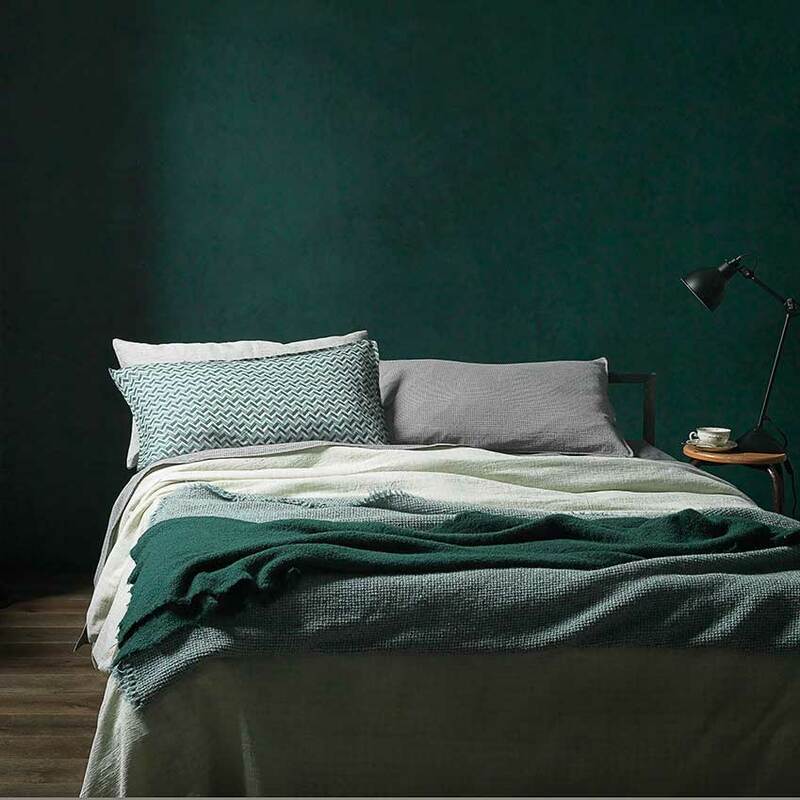 Luxe linens from Italian bedware supremos Society Limonta, perfectly offset by a wall of green; Benjamin Moore’s “Deep Sea Green” paint is a good match. 5. Nailing that colour. Of course one of the easiest ways to introduce a new colour is with accessories. This way you can gently get used to a new hue and see if it grows on you to the extent of wanting to use more of it, or keep it contained to smaller items. 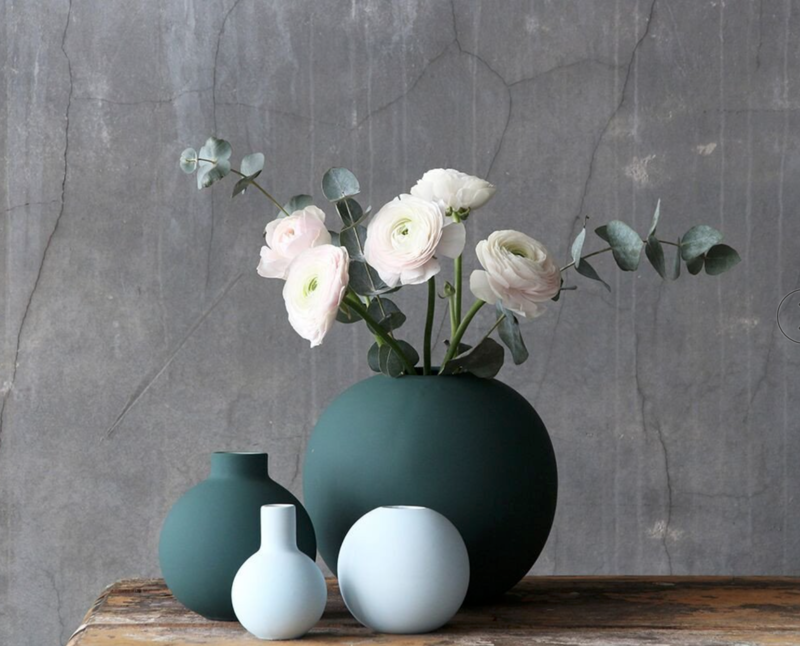 These beautiful ‘Ball’ vases by the Danish company Cooee Design, are pretty well the perfect Fir Green. Hand made ceramic Ball vase, 20cm diameter, by Cooee Design in dark matt finish fir green. 6. Working it with monochrome. 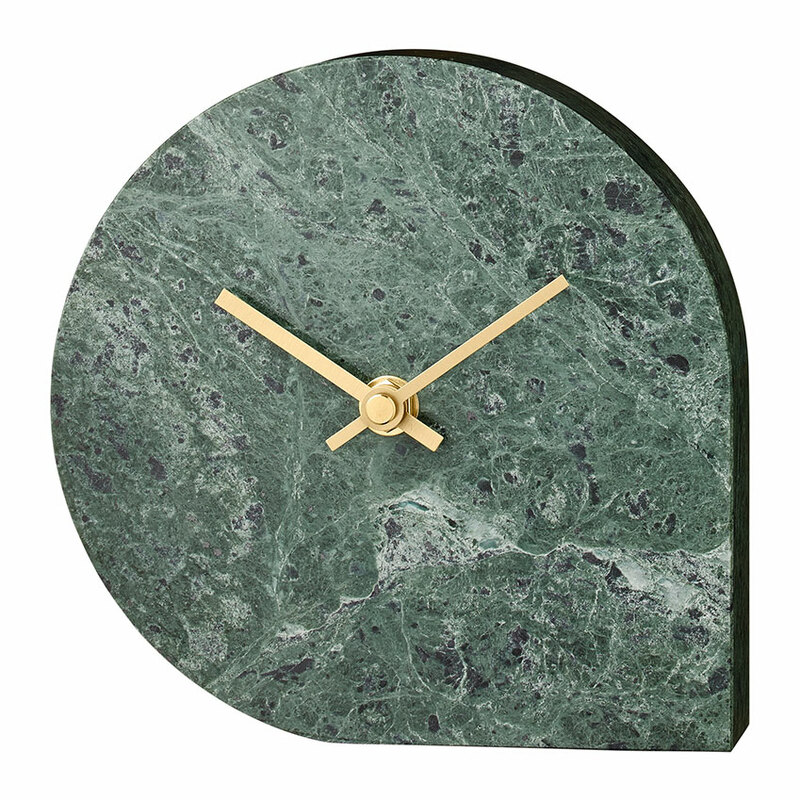 If you fancy yourself as a bit of a classicist, then this look might well be for you… the pairing off two quintessential styles, fir green and black’n’white. This was identified in Milan 2016 as one of the most dominant trends to be coming through. 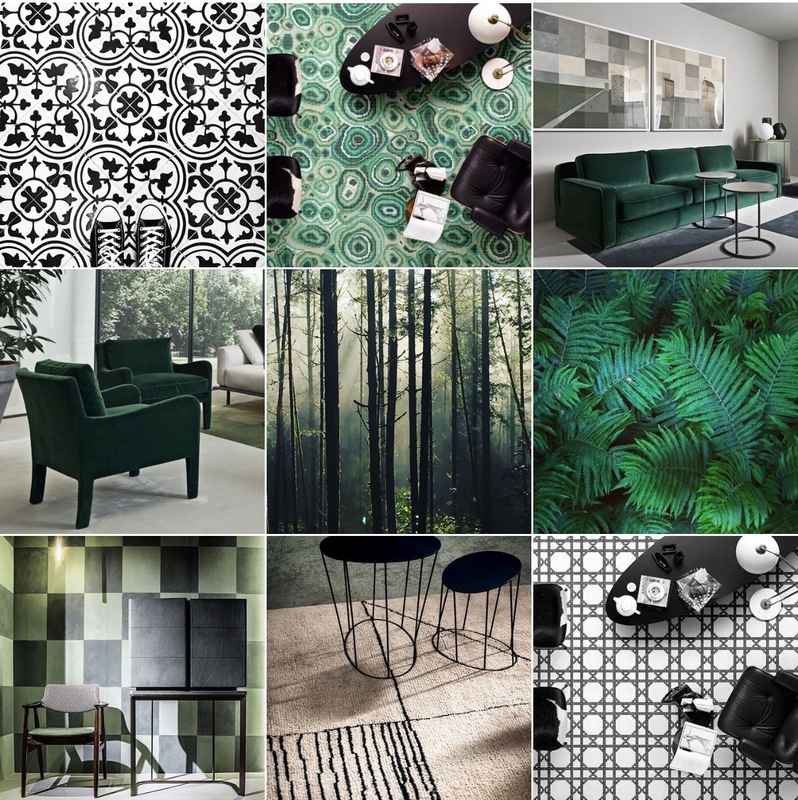 Read more in my Milan 2016 Trend Report.